Margaret Persse married the well-known Australian artist, Patrick Hockey in 1983. 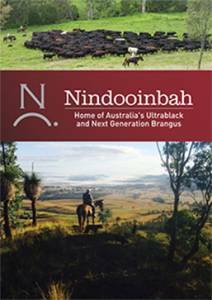 Nindooinbah was valued in 1981 in order to finalise William Collins’ estate in September 1983. His heirs were Gwendoline Collins and her three daughters and one son. John Collins had died without children in 1941, his eldest sister, Dorothea Scott, died without children in 1981, Beryl, Persse died in May 1982, leaving Margaret Persse as her heir with 5/8 of the estate. Janette Persse held the remaining 3/8 which, on her death in 1985, would have passed to her three children. Margaret Hockey bought this share and divided ownership of the whole property with her husband. The 1981 valuation provides a useful picture of Nindooinbah at that time. 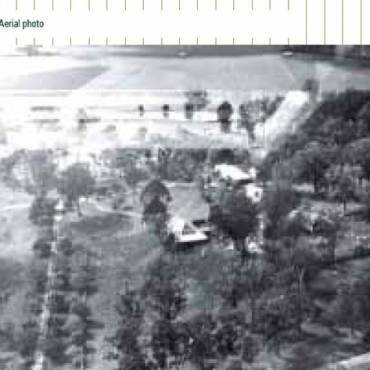 The freehold was held in three lots: Lot 1 was 531.5 ha (1313 a 0r 36p) in area; Lot 2 was 4047 sq m and Lot 3 was 5585sq m. Lot 1 was described as the remaining homestead block of old Nindooinbah. The house was described as well maintained, but too large for its present occupancy. A limited amount of old furniture and household effects remained, but the valuation records unspecified furniture as having been discarded or beyond repair. The remaining furniture was valued at $3720. The garden was described as a large semi-circular lawn and garden in front of the homestead, surface levelled, grassed, and planted with shrubs. The tennis court was disused, partly enclosed by a timber-wire netting fence in bad repair. The laundry on the southern side of the house was described as a 38’x12’ wooden building with a galvanised iron roof, with a part hardwood and part cement floor. It was cited as having been erected in the late 1920s or early 1930s. The manager’s house and the gatehouse were described as ‘sound’. The ‘nicely painted’ manager’s house was 120’x32’ containing eight rooms, some of which were wallpapered. There was a brick fireplace and open verandahs. The detached laundry, 29’x22’, no longer extant, was described as ‘more than 70 years old, and in bad repair’. The manager’s house was valued at $30,000. House 3, presumably the gatehouse; was described as the ‘manager’s cottage’ in the valuation; was 38’x43’; with partitions, linings and ceiling in T&G pine and a galvanised iron roof. It was valued at $20,000. The remaining buildings were described as a fuel shed, constructed of 12’6” bush hardwood poles with a fl at galvanised iron roof, ‘old burnt second hand galvanised iron walls’ and a hardwood floor. This ‘old rough shed’ was valued at $100. The garage, ‘an old shed in mediocre repair’ valued at $1000, was 20’x18’ with bush hardwood poles and a flat galvanised iron roof with second hand galvanised iron on 3 sides, with the fourth side open, and an earthen floor. The machinery shed, valued at $1000, was described as the old aircraft shed. It was 33’x20’ with second hand galvanised iron on all four sides and a dirt floor. A separate building, described as the old aircraft hanger, partly destroyed by fire, was valued at $250. The woolshed, described as being in ‘bad repair’ had a shingled roof covered with galvanised iron with a broken kitchen 12’x12’ attached to it. Adjoining the woolshed was a saddle room, leaning badly, 6’x6’ with a hardwood frame, single walls and a broken concrete floor. There was also a new steel frame hayshed. All outbuildings, apart from the woolshed were described as being in ‘fair repair’. 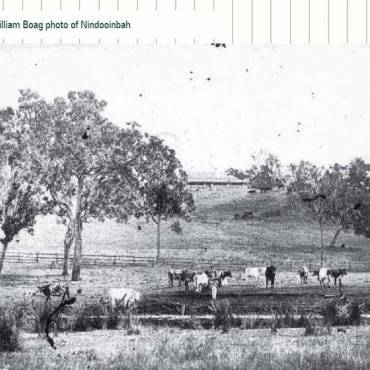 At that stage, all livestock, farm plant and crops belonged to the Nindooinbah Pastoral Company. The total valuation of Lot 1 was $462,500 with the main house and garden valued at $150,000. The remainder of the property in Lot 1 included timber, 50 hectares of first class agricultural land under cultivation, plus 40 hectares of low blue-gum fl at which would be arable if drained and 10 hectares which was too wet for cultivation but suitable for grazing, 231.5 hectares of low forest ridge which was ‘useful grazing’ and 200 hectares of rough timbered country of low value. Native and improved grasses remained on the good grazing country. The remainder of property was cleared and some was liable to erosion. Most of the fencing was old, but recently renovated. Some of the older split post barb wire fences had been discarded to create fewer, larger paddocks. The water supply was described as ‘good’ and pumped from the lagoon to tanks behind the house from where it was reticulated to the buildings, the dip and 3 stock troughs. A restricted irrigation licence limited available water in dry periods and detracted greatly from the productivity and value of the agricultural flats. Lot 2, valued at $1500, was described as a small rectangular shaped block on the eastern side of the Albert River with a frontage to Cainbabel road, 4 kilometres from the main Nindooinbah block. This land was all river flat, originally set aside and used as cattle dip area. The yards and buildings on Lot 2 were all defunct and the land was under cultivation. 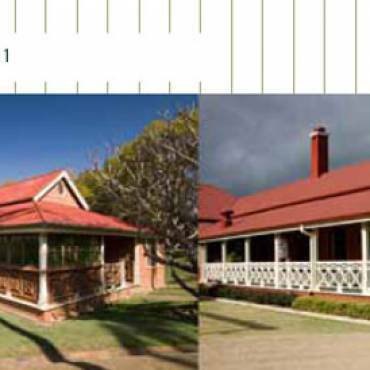 On 27 August 1981, the total valuation of Nindooinbah estate was $814,100.